← Chicago: A Grant Park Skyline Walk. 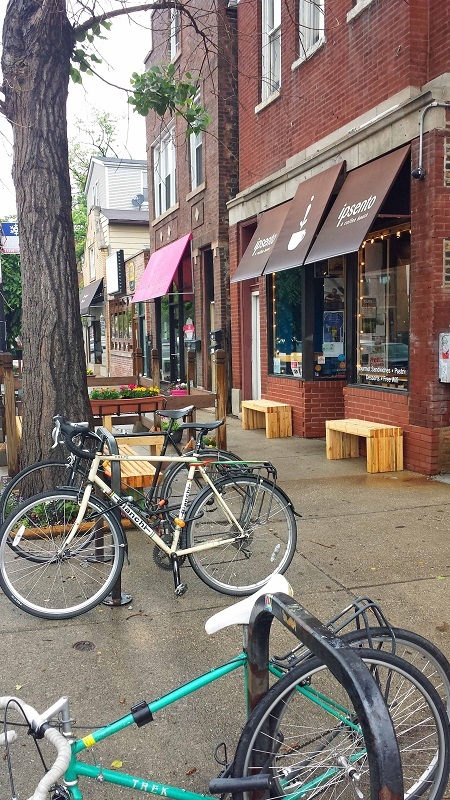 While in the Bucktown (Logan Square) neighborhood of Chicago recently, I was hanging out in a couple of coffee shops. I was tweeting about my whereabouts, posting pictures online (surprise, surprise) and interacting some with the locals. Some of the comments I received online and the questions I was asked face-to-face had nothing to do with where I was at, but where else I should go in the neighborhood, Ipsento Coffee. So in the early morning the next day I returned to Bucktown and this is what I came up to along N. Western Avenue just north of N. Milwaukee Avenue. Walking inside Ipsento Coffee the baristas were busy making individual coffee’s as the customers waited amongst the warm, cozy, retro and wood like atmosphere. 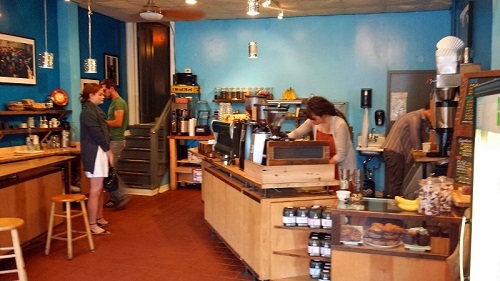 I ordered my coffee and set up shop on one of the bar stools seen to the left. The baristas were knowledgeable and friendly asking new customers what their names were and talking to regulars about how things were going. The coffee shop definitely had that true neighborhood vibe. 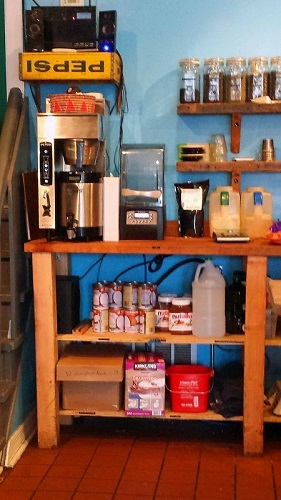 I soon had my coffee, a Nutella Latte made with beans roasted in-house, and laid it to rest on the wooden counter. My pre-sipping routine always involves capturing the caffeinated beverage in all its form. This coffee definitely passed the eye test. 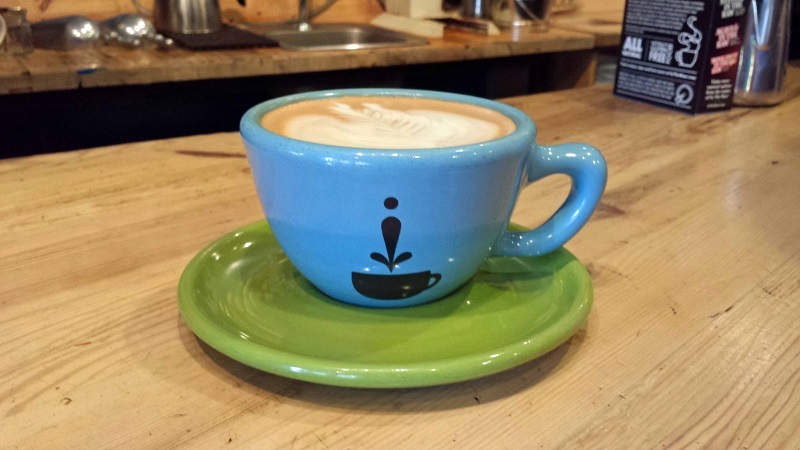 A fun backdrop, some latte art and a colorful mug with the coffee shop logo displaying front-and-center. All these things say a lot about the care Ipsento takes in making for a great coffee experience. Loved the retro Pepsi storage containers that were used as shelves through out. I enjoyed the rest of my latte while reading the paper, brainstorming my future Chicago roamings and using Ipsento Coffee as my #coffice, home base for that early morning. I’m so glad I listened to all the feedback I received the previous day. Get there early to grab a seat. 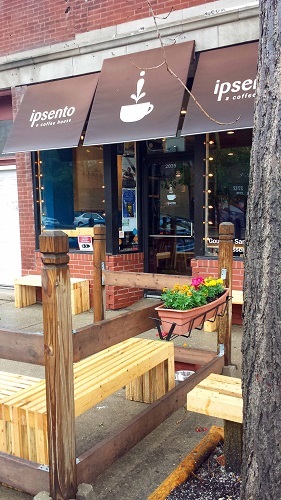 You can learn Coffee 101, classes offered up on what Ipsento has learned in their coffee travels. 6 AM! Looking for that very early cup of coffee before work? They open up earlier than others in the area. Quieter seating options are available in the back, away from the hustle and bustle of the counter/entrance area. 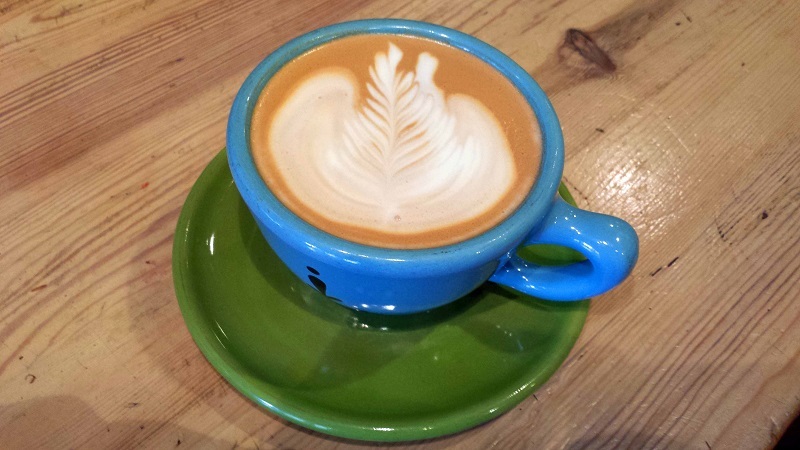 Get the Ipsento Latte! I didn’t have a chance too. Tell me what you think? What’s a neighborhood in a city you frequent or have come across in your travels that has a great coffee shop, cafe scene? 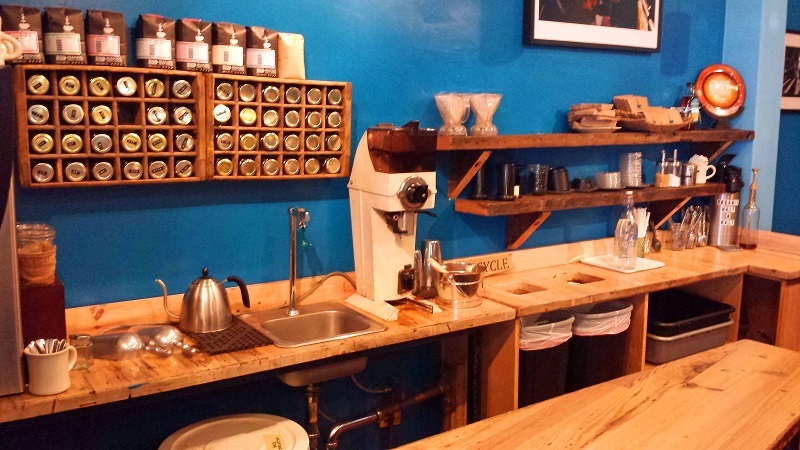 This entry was posted in Chicago, coffee, coffee shop, coffeehouse and tagged Bucktown, cafe, Chicago, coffee shop, coffeehouse, Ipsento Coffee, Logan Square. Bookmark the permalink. I’ll be in Chicago for the All Blacks-Eagles rugby game. I will add this to my list of places to go, things to do. Thanks. Once again, you find places in my own city I have never heard of. Thanks for the tip.